Diesel Forum - TheDieselStop.com > 1999-2007 Ford Super Duties > 6.0L Power Stroke Engine and Drivetrain > 6.0L cooling system pressure to high? 6.0L cooling system pressure to high? I have backflushed the oilcooler, now the pressure is max 8psi. But the reaction of the manometer worries me. What do you think? Total mileage of the truck is only 40300mls. 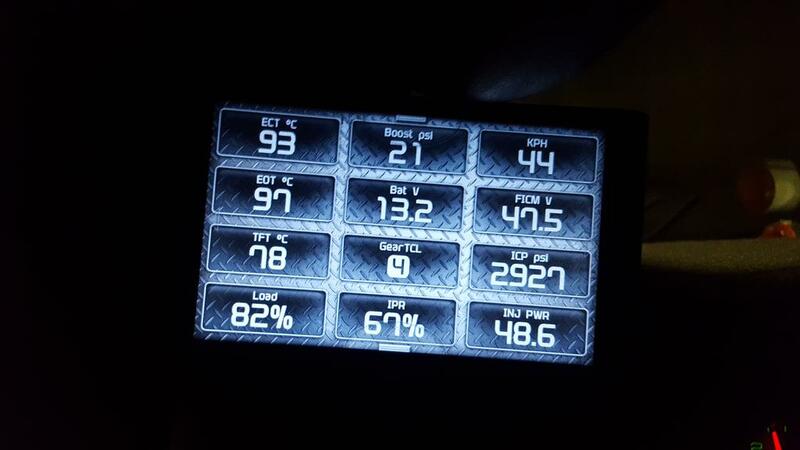 Mine rises steadily with temperature (not rpms) and holds. I think there is a leak in your system. Maybe a vapor hose, maybe the degas bottle cap. I installed the 7.3 Fan clutch, and coolant temp. is now max. 88*C / 190*F.
Other 6.0s have much less coolant pressure, but I don't know why. the cooling was much better than with the original fan clutch. Nevertheless the coolant temp. increased up to 203°F and the coolant pressure up to 20psi when the engine revs up to 3000 rpm =8-0. 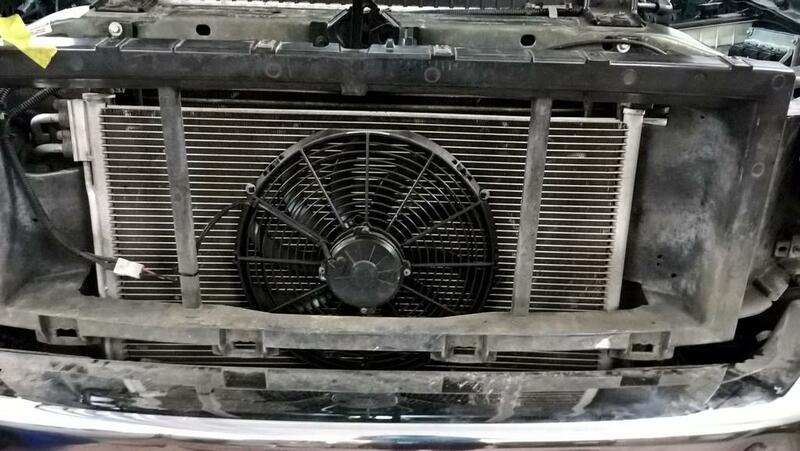 I have no loss of coolant or other problems, the engine ran great and without any problems. Also around the degas bottle cap no coolant residues. Only the pressure makes me worry a bit. what device are you looking at which gives you the ect and the eot. I want to get one. the CTS2 is connected to the OBD connector, ready. After the truck has warned up, the coolant has expanded and built pressure, if you SLOWLY crack the cap and let the pressure out, and then put the cap back on.....and go for a drive, what happens? Does the pressure creep back up to 14psi? Or does it stay at 0 psi? It should stay around 0psi as long as your coolant temp doesn't climb significantly. If it slowly goes back up to 14psi....you have a head gasket issue, and your cap is venting pressure when you get to 14psi. Just be aware that some caps have a 16 psig relief point, and you can even get one that has a 20 psig relief point (I am running one of those). I have the 16psi cap. I now let the pressure out when the engine was warm and drove on. The pressure remained clearly under 10psi. But I didn't have actually the possibility to put a lot of load on the engine. The pressure problems came mainly in the mountains on vacation (6,3 metric tons vehicle weight, very steep hills). Where I life, everything is flat land. the pressure rises 2-3 psi when i accelerate strongly and the engine revs up, but i think this is the pressure that the water pump generates by the higher engine speed? At coolant temp. 176°F -185°F I have no problems with coolant pressure (10-12psi). I thought about installing an additional fan in front of the cooler, behind the grille. If the motor is up to temp (let's call it 196 for the heck of it)....when you open the cap and release all of the pressure......the pressure should stay at ZERO as long as your coolant temp does not rise. If you are getting 10psi in the system, and the temp isn't rising......that pressure isn't coming from the coolant expanding (getting hotter), it's either coming from an egr cooler leak and/or a head gasket leak. 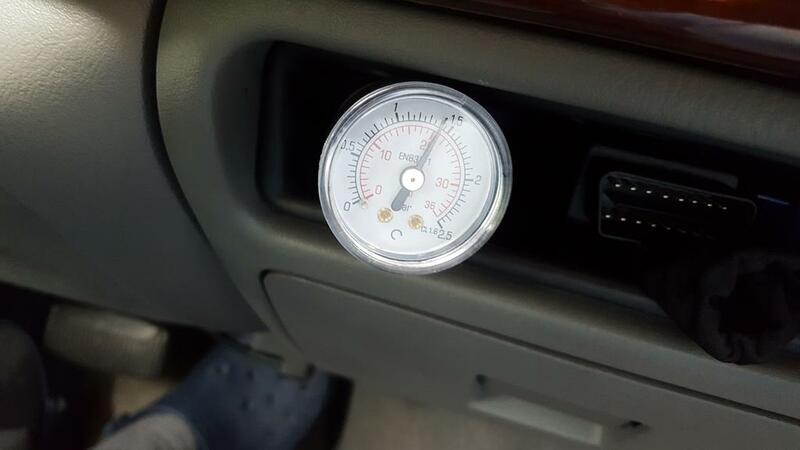 I can get my truck up to temp, open the cap and bleed up the pressure, put the cap back on....and drive the truck all day.....and the pressure pretty much stays at 0. There will be some "temporary pressure rise" from the water pump, but it isn't much and it certainly isn't permanent. The degas pressure is almost totally from the heat of expansion, unless you have poor coolant circulation and have some boiling inside the engine at hot spots or you have head gasket leaks or an EGR cooler leak. In winter I will install the EGR delete GEN3 from ipr. I hope it will be better then. I don't think an EGR delete will fix your problem. How many miles are on your truck? Are you running stock head gaskets? If you are seeing coolant pressures in the 13-14psi range....I would bet that you have a head gasket leak. 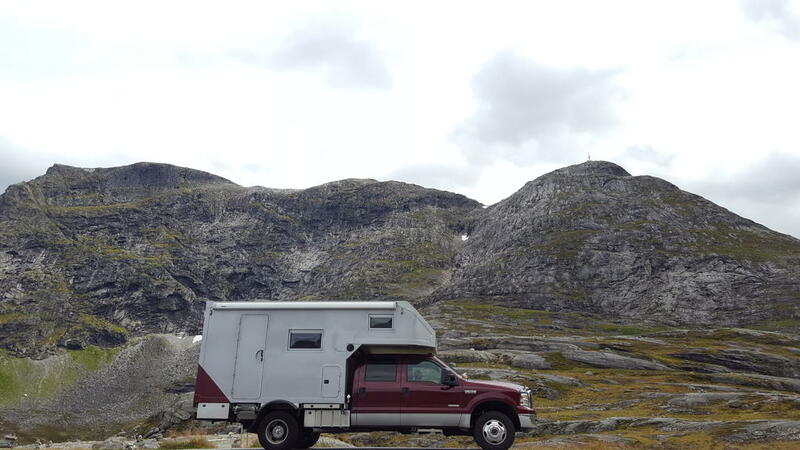 The truck has a total 44000mls. 16000mls ago the EGR cooler, oil cooler and head gaskets were replaced by the previous owner. Did they put studs in it, or just the factory head bolts? No matter what.....if the truck is warmed up, you bleed the pressure from the coolant system, and then put the cap back on and drive the truck.....the pressure should not build much at all. If it's up to 10-14 after you do that, pressure has to be getting into the system from something....either EGR cooler, or head gaskets. My truck was doing the exact same thing when I got it.......replaced the head gaskets, problem solved.